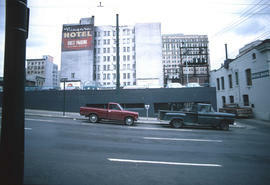 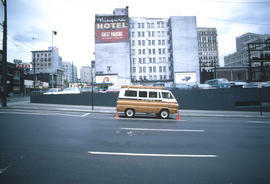 Image shows, the foreground, the low parkade at Pender Street & Homer Street, and in the background, the side of the Niagara Hotel (on Pender Street, includes a painted wall advertisement). 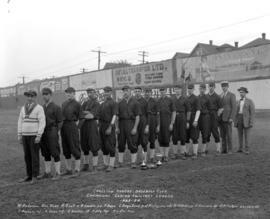 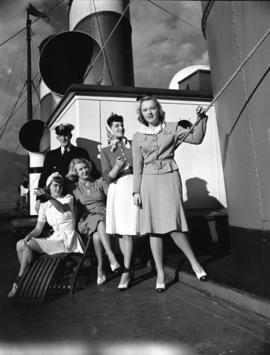 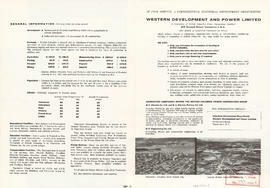 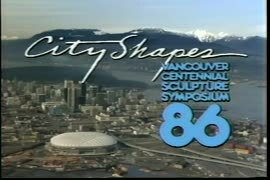 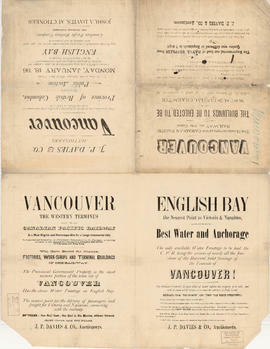 Part contains general information about British Columbia's government, economy, and resources, and text advertising the services of Western Development and Power Limited. 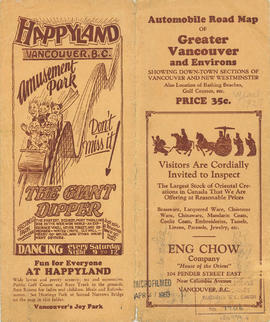 Map cover includes advertisements for Eng Chow Company and Happyland. 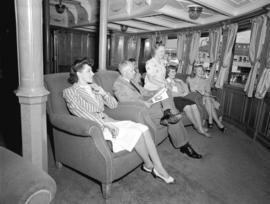 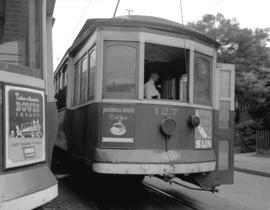 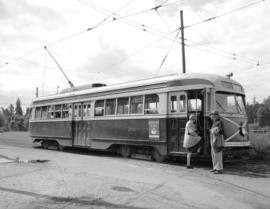 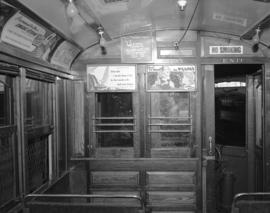 Item consists of a photograph of BC Electric streetcar #430, on route #11, with passengers boarding. 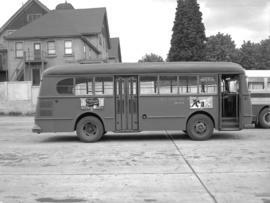 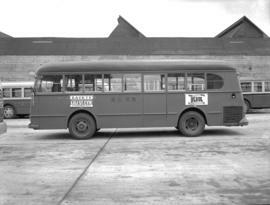 The vehicle was referred to as a bus by the photographer. 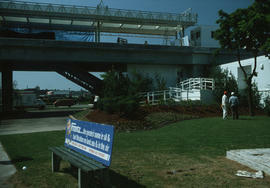 Image shows construction of Skytrain station and surrounding landscaping. 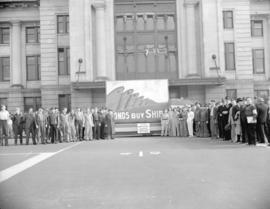 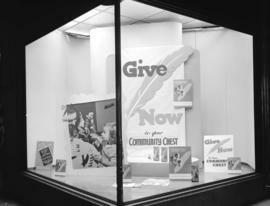 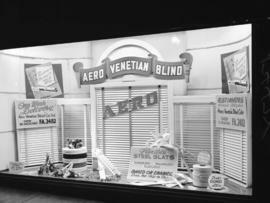 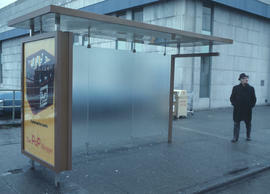 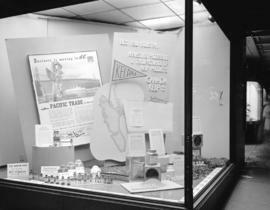 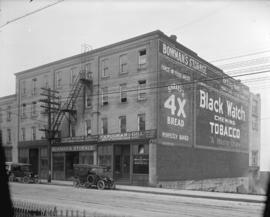 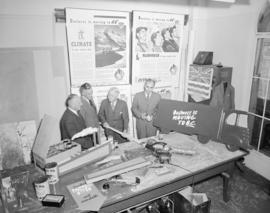 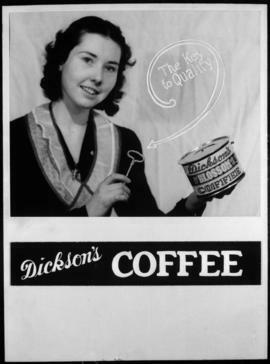 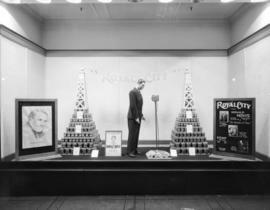 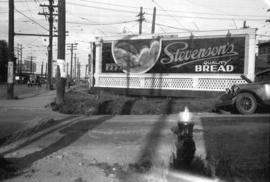 Image shows advertisements on side of the building for Black Watch Tobacco and 4X Bread. 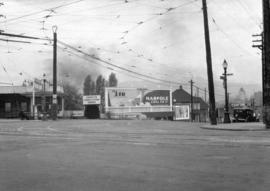 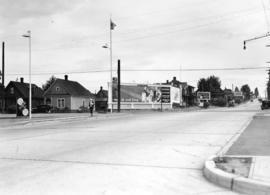 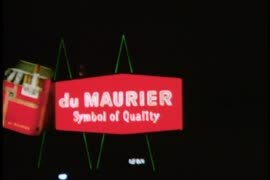 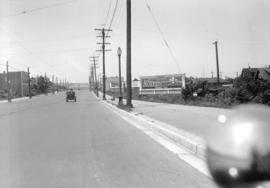 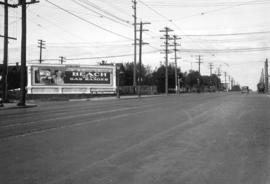 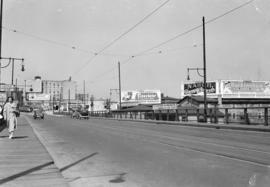 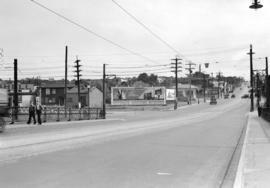 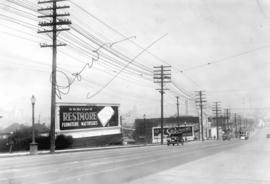 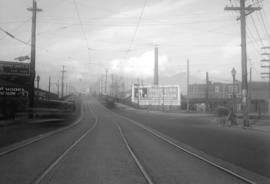 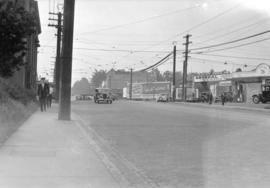 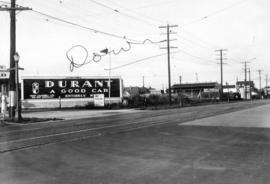 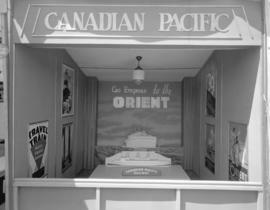 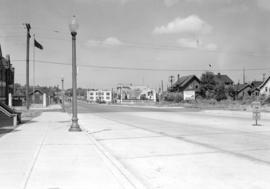 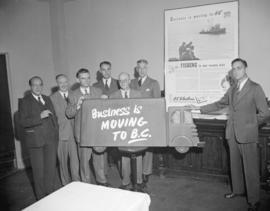 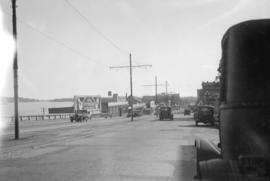 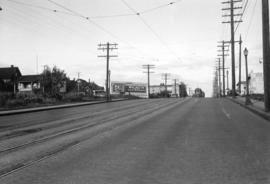 Photograph shows a view looking south from the Connaught (Cambie) Bridge showing a lighted Ruddy-Duker Ltd. billboard advertising Canadian Automatic Stokers Ltd. 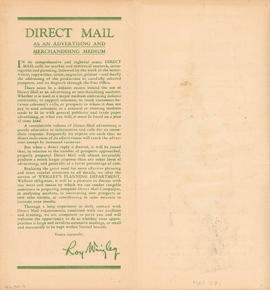 Item is promotional material for a performance series featuring military bands, running June 23-July 1, 1958 at Empire Stadium.